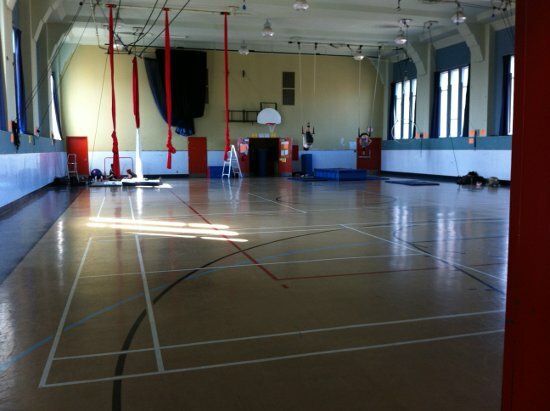 A community centre and fire station in north-east Montreal, La Caserne has a top-floor gym where circus artists train by day and firemen by night. There are seven rigging points (with pulleys) available to rig your own aerial equipment, plus some La Caserne equipment on hand for communal use. Also: training mats, stereos, and enough floorspace for tumbling, German wheel, or juggling. The place has a friendly vibe, and there are a lot of good teachers who hold private lessons in the space. For more on times and prices see the La Caserne website.